Last October, Google presented its latest Pixel 3 and Pixel 3 XL. These smartphones to date reflect the maximum interpretation of Android, have one of the best cameras on the market, but pity from the point of view of design. In these first sketches instead, a new Pixel 4 is shown. The Goole Pixel 3 has an 18: 9 display with frames too thick above and below the display, Pixel 3 XL has instead adopted a notch for the display really important. From these drawings, however, it seems that mom Google is finally planning to join the full-screen smartphone maker’s club. The Mountain View company recently obtained a patent for a smartphone that could be the first full-screen phone of the Google brand with an edge-to-edge display. 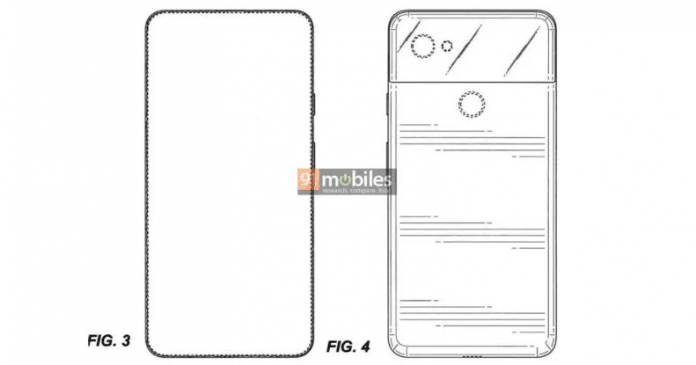 One of the sketches shows that this smartphone does not have any type of notch or hole for the front camera, thus enjoying a front part completely occupied by the screen. On the back, the device seems quite similar to the Google Pixel line already seen, resuming the pattern of Pixel 2 and Pixel 3. In fact, we see a single main camera, accompanied by an LED flash and immediately under a fingerprint sensor, so no sensor integrated under The display for Pixel 4. We can assume that this smartphone will have a two-color finish in the back, just like the previous models. The power button and the volume button on the device appear to be on the right side, while the left side appears to hold the SIM input. Below we see a USB Type-C port, but no 3.5mm jack input and at the top, we find a microphone. Following you will find all the drawings that depict the hypothetical Pixel 4. For the moment we have no other useful information, but we will definitely return on the subject as soon as the situation begins to take a more truthful turn.